EASTER DEAL - Usually 19.99 for THREE, today just 14.99 - Save £5!! 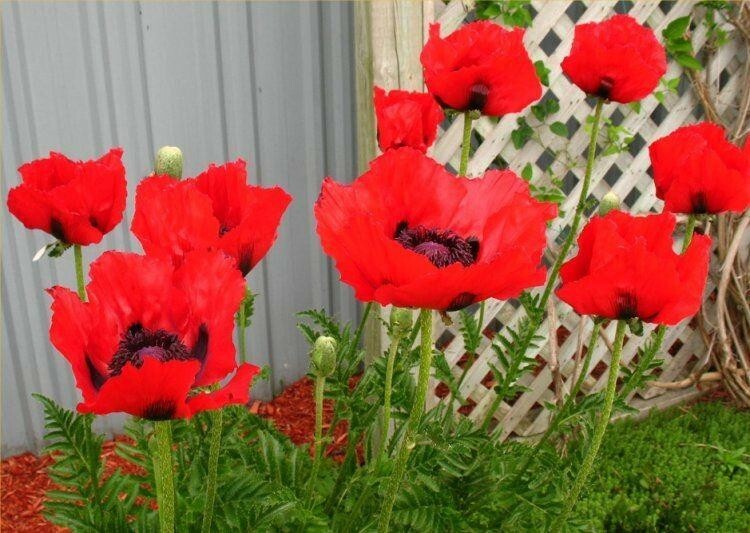 One of the most striking hardy poppies you can grow, this is the classic Orientale Poppy, with large, bright blood-red flowers with jet black centres - a real cottage garden jewel. Flowering from early to mid-summer, this easy to grow perennial is a superb way of adding both colour and character to the summer garden. 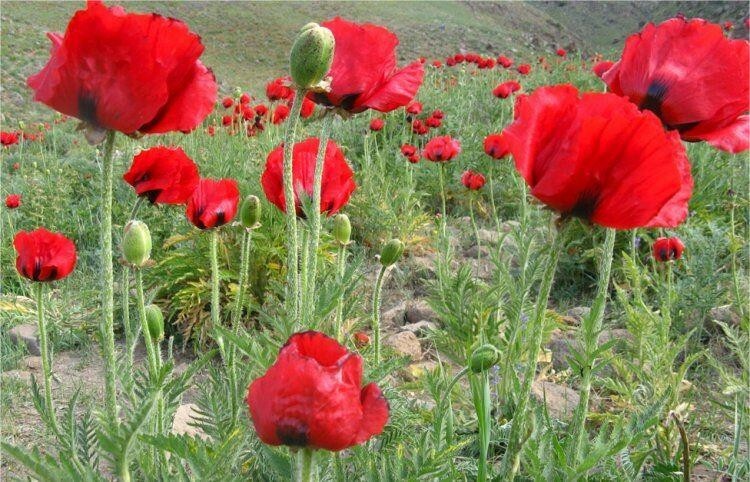 Papaver orientale Brilliant is very easy to grow, producing the large (15 to 20cm across) flowers in early summer, before most garden plants burst in to bloom for the season. This adds to the attraction as the bold colour will really stand out at a time of the year before the rest of the garden may be in full swing - a superb way of adding both colour and character to the early summer garden. 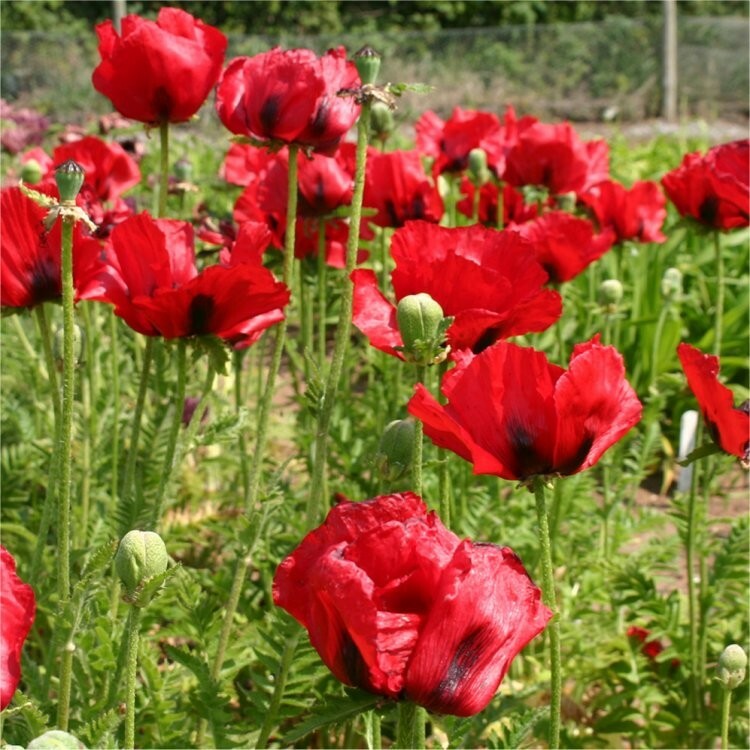 This really is one poppy not to be missed, it will positively thrive on well drained soils, and will do best in a bright sunny spot. Great on their own or planted in a group, these flamboyant flowers are long-lived and will provide much pleasure year after year. Supplied as a pack of three plants, each growing in approx. 1 litre containers.